01/05/2019 01/05/2019 - by Liam Weisman - 2 Comments. The Lenovo IdeaPad 330 81D2005CUS stems from the Lenovo Ideapad 330 laptop series. It is a well-designed, lightweight and portable laptop meant for the simple at heart casual user. The design borrows some premium attributes that make it elegant and stylish. In more ways than one, it proves that most laptops don’t need to be thick or clunky. The all plastic design has a nice finish and doesn’t feel cheap at all. Find out how it performs on the detailed review below. Not much of the Lenovo IdeaPad 330 81D2005CUS aesthetics scream power better yet productivity workhorse. But it sells for cheap and has a litany of components that give it the fighting chance of a modern basic laptop with gaming potential. Thanks to the advanced AMD Ryzen 5 processor, 8GB DDR4 memory and AMD Radeon Vega 8 graphics card it can handle some modern titles. Further, it promises middling performance and uninspiring battery life. Ultimately, it ticks the right boxes to fit the bill as a commendable all-purpose laptop for students and casual buyers. Nothing screams casual more than the port selection of the Lenovo IdeaPad 330 81D2005CUS. It sports just the basic ports you’d need to make connections possible. We applaud Lenovo for making the effort to include a futuristic port system through the USB Type-C port available. However, they should have made sure it is capable of charging as most users know the USB-C for its charging capacity. Other than that, there is a full-sized HDMI port should you need to connect your triple or double monitor set up. Additionally, there is an Ethernet port for LAN internet connections and two USB 3.0 ports, 4-in-1 card reader (SD, SDHC, SDXC, and MMC) and audio microphone/headphone combo jack. Our unit flaunts of a few impressive components key here being the AMD Ryzen 5 2500U processor and the integrated graphics onboard graphics unit AMD Radeon Vega 8. Other than the two, the laptop works with an 8GB DDR4 memory and 256GB Solid-State drive which we’ll discuss a bit later. With the Quad-core AMD Ryzen 5 2500U processor, Lenovo Ideapad 330 enters the realm of amazingly few numbers of laptops with AMD processors. On a broader scale, the AMD Ryzen 5 2500U goes head to head with the Intel Core i5-8250U processor like on the Lenovo IdeaPad 330 81DE00L0US we reviewed recently. The Ryzen 5 2500U processor is a powerful chip capable of handling daily home and office duties. It has the muscle to handle demanding duties such as video editing, multimedia storage, web browsing and streaming online videos. Compared to Intel’s UHD 620, the Radeon Vega 8 has better performance which translates to better gaming performance. On top of multitasking and handling intensive graphics tasks, it handles gaming on less demanding titles like GTA 5 pretty well. On the lowest settings, it plays at 30 fps low settings and 720p. The 8GB DDR4 memory is enough for running multiple applications, web browsing, handling multimedia, a bit of gaming, photo editing and media streaming. Users looking to handle both multitasking apps and open tabs will have to go a little bit higher and get the 16GB DDR4 memory. 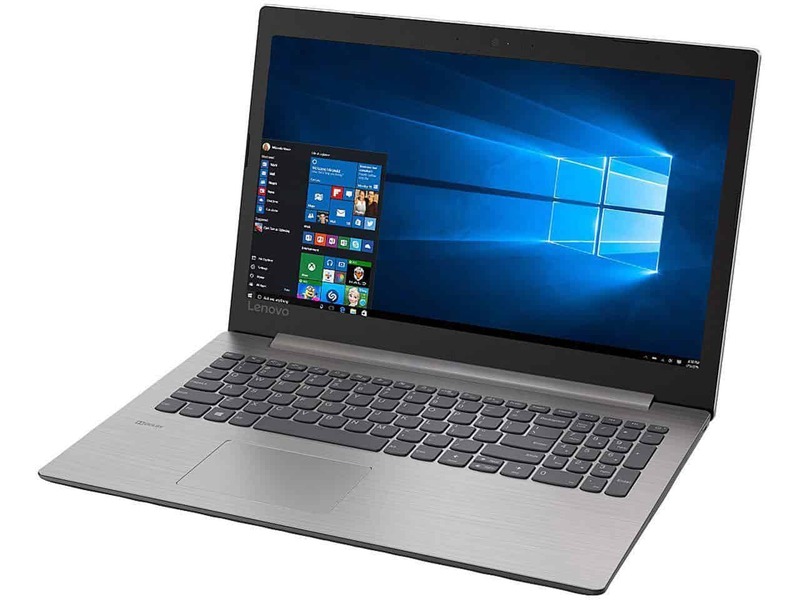 The Lenovo IdeaPad 330 81D2005CUS stores all of its data, music, movies, and software on the 256SSD storage. It is a fast means of storage but alone is hardly enough. If you’re going to use this laptop, consider upgrading to 512GB SSD or at least throw in the 1TB hard disk. 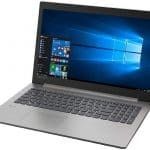 With a sub $500 price tag, a bunch of worthy features, functionality, and flair, the Lenovo IdeaPad 330 81D2005CUS clinches all the requirements for a budget casual laptop. While it might not be the status symbol of design and aesthetics or the gold standard of performance, it can handle itself pretty well under light workloads. We recommend it to students and casual users looking for a budget laptop with well-balanced features.